Today I'm sharing how to use the 123 Punch Board by We R' Memory Keepers. I have been having a blast playing with this punch board. Bows are my favorite. 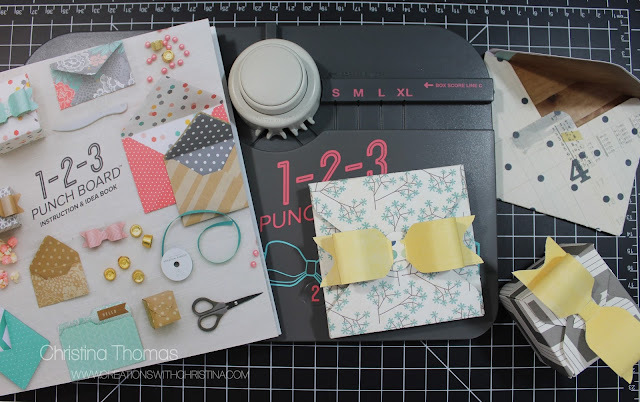 I mentioned in the video that I have a tutorial on how to make envelope liners for your envelopes using the regular punch board. You can find that HERE. Nice board...............Are the envelope sizes the same as the envelope board, which I already own.. and thanks for the informative video..........well done, girl! Mostly it's the same. The difference with the 123 board is it gives you the option of a 2nd score line to create an box style envelope. Thank you so much for the video! Very helpful!! Now to save up my money! I thought I saw this at some point earlier and posted a comment, but since I'm not seeing it, maybe it was over on YouTube instead of here at your blog. I had this and returned it because I'm not really into box/bow making, though I do on occasion make bows with my Cricut. However, I do have the envelope punch board and love it.